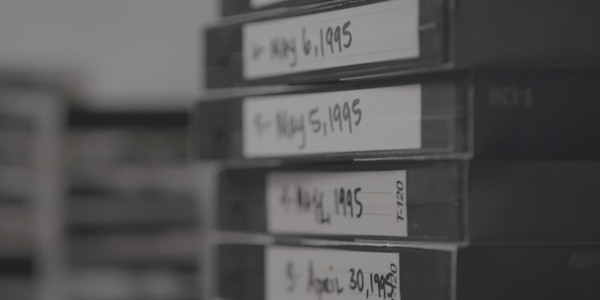 As someone who follows and writes about our broken criminal justice system, I found the Netflix documentary series Confession Tapes to be a compelling, unflinching look at the consequences of getting it wrong. Most of the time I learn about wrongful convictions after the fact when that person is finally released. In a few cases, I witness them firsthand as in the Dateline episode Game Night. Or, I see them coming as in the case of Angelika Graswald, who eventually succumbed to pressure and pleaded for time served. In this documentary series, you witness wrongful convictions, but the wrongfully convicted remain in prison, with no hope of ever getting out. I covered the first case involving Atif Rafy and Sebastian Burns in an earlier post. I’ve now had a chance to watch all seven episodes. While each case involves a confession of sorts that leads directly or indirectly to a conviction, they aren’t your typical “I did it” type of confession. What you learn from these seven cases is that there are commonalities in every false confession. First, you have detectives and prosecutors who develop tunnel vision and focus on their suspects even when nothing ties the suspects to the actual crime. Then the suspect is brought in for questioning. You never see a lawyer present during these lengthy interrogations. After hours of questioning by several detectives, who claim they only want the truth but then go about lying about evidence they don’t have, the poor dupes who trusted the police find themselves making statements that ultimately leads to a conviction. There is the mother whose daughter died in a house fire. The police get her to the point where even though she tells them she has no memory of causing the fire that she must have did it because of a failed lie detector test, which she believes is full proof. The truth is that lie detector tests are only slightly more accurate than a coin flip. But even if the tests were accurate, it doesn’t make a difference when the police inform the person taking the test that they failed, regardless of the results. The Down River episode involved not only a lie detector test but a police officer who believes that he has a gift that allows him to pull the truth out of suspects. This case also had an eyewitness whose testimony helped convict an innocent man. She testified that she saw the same car make several practice runs the night before the accident. The problem, however, is that while she correctly described seeing the car approach the same spot, there was an innocent explanation. The man’s daughter had wanted to see the boats in the river on two different nights. When a person enters a courtroom as a defendant, they are not innocent until proven guilty. It’s always the other way around. Most people have the belief that if the police have gotten this far with a suspect, the defendant must have done it. The jury system is supposed to work because they represent the defendant’s peers. Unfortunately, the jury system doesn’t work. I’ve seen too many cases where jurors are not the least bit interested in doing anything but voting to convict so they can go home. The appeal system is useless. In the hundreds of wrongful conviction cases that I have followed, very few are caught during the appeals stage. I don’t know the exact percentage of cases overturned on appeal, but I believe it to be well under 10%. The result of the mistakes and indifference are innocent people wasting away in prison for crimes they did not commit. Families are torn apart. Children suffer from the lack of a parent. And the police and prosecutors who celebrate their courtroom victories go on to be judges and politicians or enjoy their retirement. That is until books and films like this series expose their deceitful acts.